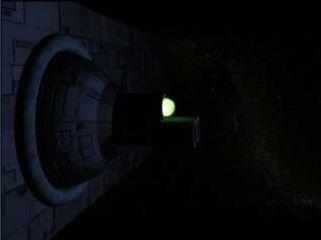 The base of this technology are the discoveries made in the 4th level science facility - extremely inflammable ion gas, called plasma, as the research started from the development of ion techniques. After the successful improvement of the technology and after a number of tests in thermonuclear reaction with plasma, also called the fourth state of material, scientists created the plasma generator, (a gas dissolving device for production of low-temperature plasma – the plasmatron), with an incredibly powerful and destructing charge. Because of the extremely expensive production of plasma and the plasma generator, it is fixed to an armament from the last bastion of surviving the enemy attack - the plasma cannon and in the last hope of the attack - the Bomber. Necessary technology for: Plasma cannon, Bomber. Each type of ship or defence is equipped with different type of weapon. Those weapons can be Laser, Ion or Plasma. Each level of this research increases the attack with 5% of all ships and defence using Plasma.